CURRUMBIN'S BEST PREMIUM GRADE OFFICE/WAREHOUSE/ MAN CAVE INDUSTRIAL FACILITY. DJ Stringer Property Services are pleased to present Unit 3/6 Nuban Street to the market for sale. This solid landmark property offers a myriad of options to enhance the growth of any business and or personal use. The combination of functionality and location make this the perfect place for your business. 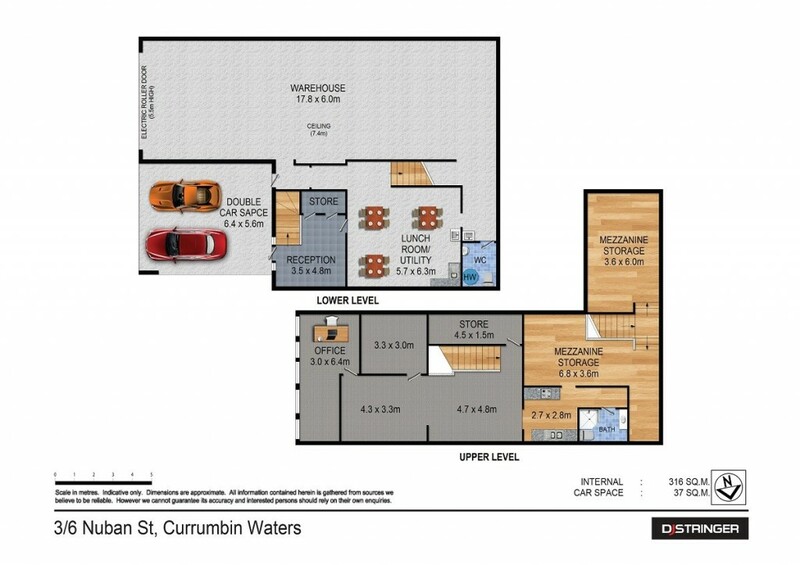 Unit 3/6 Nuban Street, Currumbin is situated in the highly sort after boutique commercial and industrial precinct of QUATTRO PLACE. This location is located within a high quality commercial estate that enjoys excellent accessibility to the M1 to travel North or South. Currumbin is renowned as a commercial, industrial and retail hub situated at the southern end of the Gold Coast. The precinct so close to the airport has undergone substantial growth as there has been an emphasis to move to the area to directly service surrounding suburbs and markets. Properties within the area are becoming tightly held, driven by a high demand and a shortage of land available. The area is accessed via major arterial roads leading to and from the M1 Motorway. For further information or to arrange an inspection please contact exclusive sales agent Peter Antony, DJ Stringer Property Services.